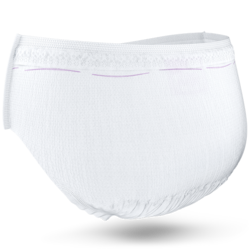 TENA Lady Pants DISCREET PLUS are disposable, cotton-soft pants, offering Triple Protection from leaks, odour and moisture. 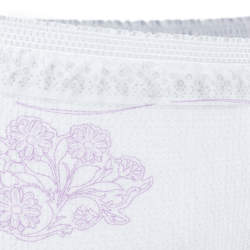 With a feminine print design and breathable fabric, TENA Lady Pants DISCREET PLUS have the look and feel of everyday underwear. The innovative Super Absorption Zone within the core contains unique surface inlets that efficiently wick away moisture and quickly lock in leaks deep inside the layers. Designed to offer the optimum leakage security, TENA Lady Pants keep you dry and confident all day long. Fresh Odour Control neutralises unwanted smells and keeps you feeling fresh and confident. Micro-fresh pearls lock in urine and reduce the development of odour, offering improved discretion and security. All TENA Lady products give you Triple Protection from leaks, odour and moisture. Helping you stay dry, secure and confident at all times, both day and night. 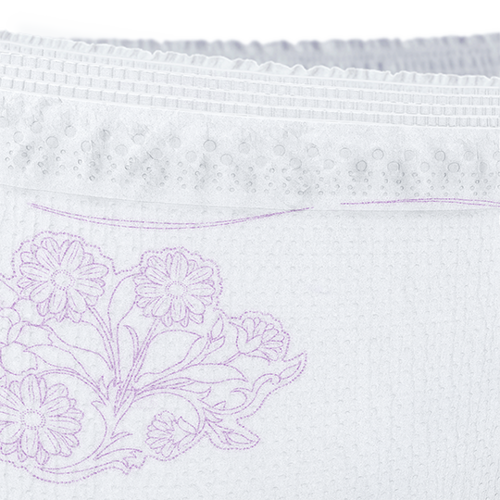 TENA Lady Pants are designed with an anatomical fit to stay in place, providing secure protection, comfort and discretion. With a feminine print and back indication design, breathable fabric and thinner core, TENA Lady Pants are our most underwear-like pants ever. Designed to provide the improved discretion and comfort you need to feel like yourself. TENA Lady Pants are made from a stretchy, breathable, cotton-soft fabric that allows air to circulate and supports optimum skin health. Gentle on the skin and with enhanced breathability, our TENA Lady Pants offer improved comfort and dryness. With additional lengthwise elastics, our new core design offers improved comfort and fit. Our TENA Lady Pants are designed with integrated leakage barriers within the core for an anatomical fit, providing the optimum leakage security and ultimate confidence. The new narrower waistband of our most underwear-like pants ever offers improved comfort and fit, whilst remaining 100% as secure.